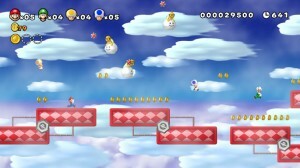 New Super Mario Bros Mii to be first Wii U game? 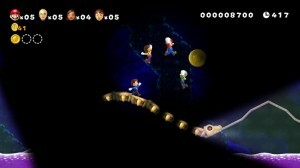 One of the tech demos displayed at E3 to show off the new Wii U was a demo showing off New Super Mario Bros Mii. 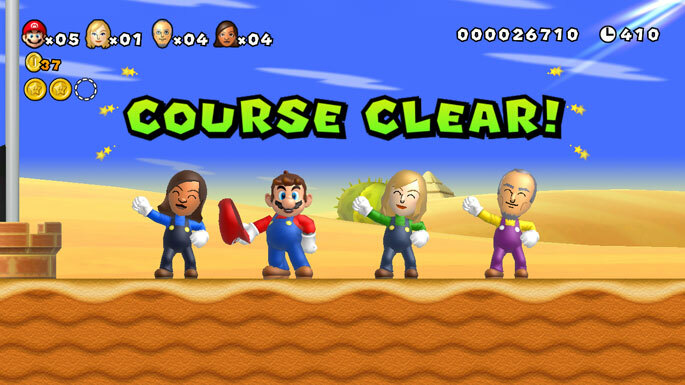 It seems to play pretty similar to New Super Mario Bros on the Wii but the key difference is that Miis are playable characters in the game. 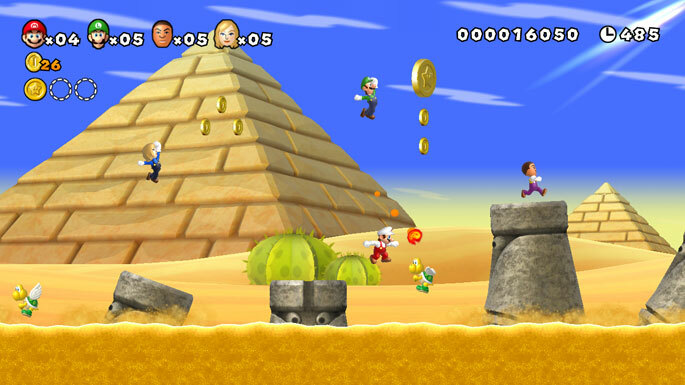 The four player action revolves around one person using the Wii U’s new controller while the other players use the standard Wii controllers. 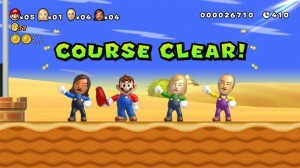 The Wii U’s controller screen could be used to select characters and to display what was going on in the game. Reggie made it clear at the Nintendo conference that the tech demos being displayed were just that, tech demos and were not necessarily real games. 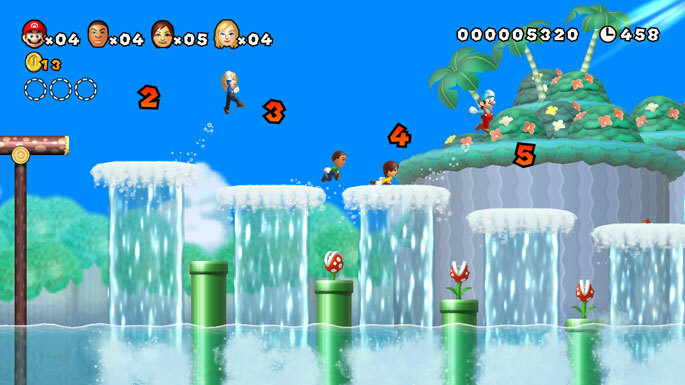 Even so, I think there is a good chance that the idea of New Super Mario Bros Mii could develop into an actual game for the Wii 2. Carry on reading for screenshots. I’m sure the game will be good, but the visuals sure doesn’t look impressive. Then again, this is a tech demo and we don’t know if this game exist, but I’m going to need more then Mii’s in the game for me to buy it. Honestly, the game looks ok so far…..but if they in fact do make it a remake of New Super Mario Bros. Wii, the graphics will surly get a makeover, maybe new map layouts, and it seems that some of the levels may get a bit more strategic. But hey, more challenge is better right? 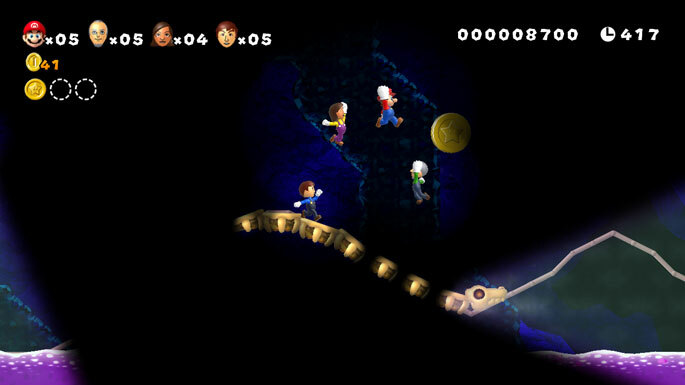 So long as they don’t make some of the World 9 levels too much of a pain…..more Specifically World 9-7 which was the most difficult level in the entire game in my opinion. Regardless, I don’t see a reason why I wouldn’t get the game if it was made.